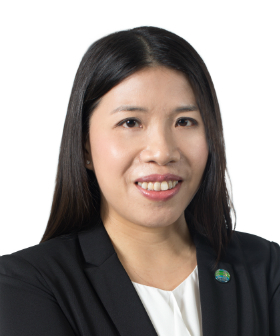 Ms. Kylie FUNG has served IT Sub-division of Hong Kong Housing Authority (HA) as a Project Manager since 2009. She oversees the implementation of IT quality standards and quality assurance of system development and maintenance for supporting the operation of HA. Prior to her current position, Kylie served various roles in PCCW Solution Limited which is a leading IT services company in Hong Kong and Mainland China. She was responsible for quality management, product marketing and IT outsourcing consultancy services. She also served as Service Delivery Manager for providing on-going IT service delivery and support in government departments and commercial organizations. Kylie actively participated in different roles and activities organized by Hong Kong Computer Society (HKCS) in past years, serving as Chairperson of Youth Club, Vice-chairperson of Community Services Committee, Member of Membership Committee as well as Communication and Marketing Committee, Chairperson of Judging Panel of Outstanding Young ICT Achiever Award in 2008 and Organizing Committee of various major events including Hong Kong International Computer Conference (HKICC) from 2003 to 2013, Shanghai–Hong Kong Youth IT Summer Camp and etc. Kylie holds a Bachelor’s degree in Management Studies from University of Hong Kong and a Master’s degree in Business Administration from Northeast Louisiana University, Louisiana, U.S.